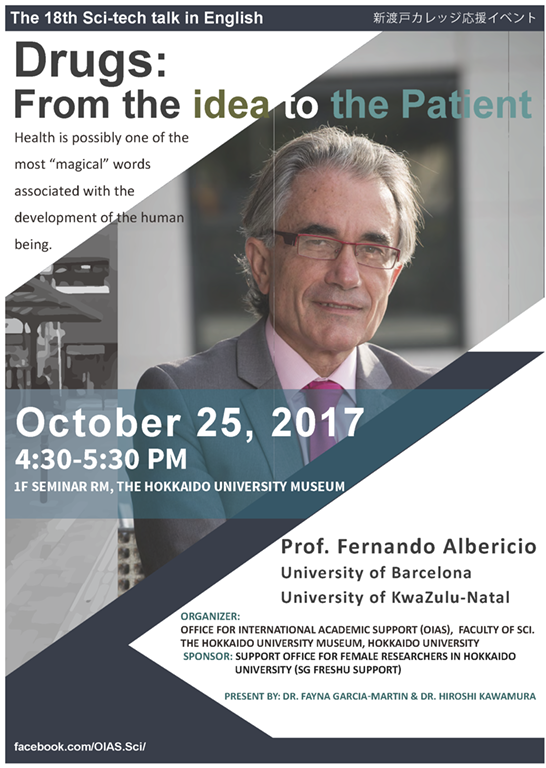 We are pleased to announce the 18th “Sci-Tech Talk in English” by Prof. Fernando Albericio, University of Barcelona and University of KwaZulu-Natal. This event is organized as a part of the internationalization activities of the Faculty of Science and is intended for non-specialists. All talks and discussions to follow are conducted in English. We welcome all students, faculty members and others who are interested in science.